Have you ever seen a scene in a Chinese movie that the bad guy was defeated by the hero with Chinese Kung fu? Perhaps you have already heard about Bruce Lee and Jackie Chan. Cast the special effects of the movie not to say, Kung fu has already surprised a lot of people. Kung fu, known as Chinese martial arts, is a series of actions requires energy, power and speed. A genuine Kung fu show will certainly amaze you. Anyone who has seen classical Chinese Kung Fu movies will be deeply impressed by the Chinese Wushu, which is called Kung Fu or Chinese martial arts in the west.Wushu (also known as kung-fu or martial arts) is one of the typical demonstrations of traditional Chinese culture. It is a sport which utilizes both brawn and brain. The theory of Wushu is based upon classical Chinese philosophy, while the skills of Wushu consist of various forms of fighting: fist fights, weapon fights, and other fighting routines (including such offence and defence acts as kicking, hitting, throwing, holding, chopping and thrusting) and unarmed combats. 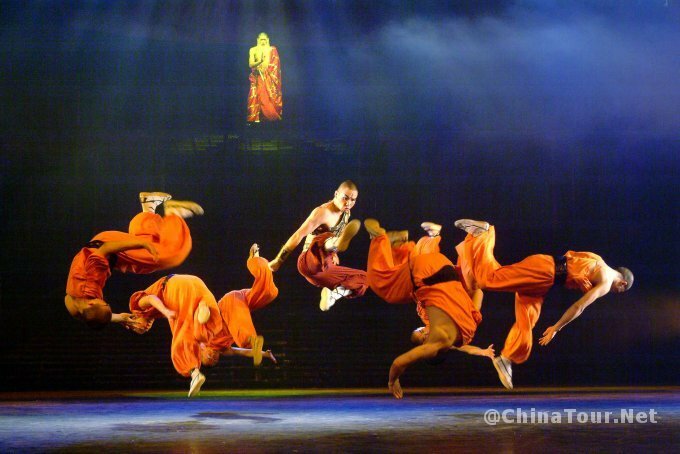 Wushu is not only a sporting exercise but also an artistic form. It is used to cure illness as well as for self-defence and is a comprehensive form of culture of the human body. Literally, wu means military while shu means art, thus Wushu the art of fighting or martial arts. Wushu is an important and unique component of Chinese cultural heritage with centuries of cultural history attached. Wushu not only includes physical exercise but also Chinese philosophy, meditation and aesthetics. Wushu enjoys a long history and great popularity in China. Thanks to its uniqueness and charisma originating from traditional oriental culture, Wushu is captivating the attention of more and more people in other nations. In the past, Wushu was developed for the sake of military prowess and physical well being. Wushu was seen as crucial to a soldier’s survival in the time of hand -to -hand combat. Today, military function has faded and it has been organized and systematized into a formal branch of study in the performance arts by the Chinese, while it’s physical welfare and athletic functions become dominant. Hence Wushu is popular among the whole nation of China, practiced by men and women, young and old alike. Today many people practice Wushu to pursue health, defense skills, mental discipline, entertainment and competition. Wushu can be practiced solo, paired or as a group, barehanded or armed with ancient Chinese weapons. In centuries past, Wushu developed into many systems and styles. The most famous systems include Shaolin Temple system and Mt. Wudang System. Only the Shaolin system has hundreds of styles. Among the many styles are Chang quan (long fist), Nan quan (southern fist), Taiji quan (shadow boxing or supreme ultimate fist), Xingyi quan (mind fist), Baqua quan (eight directions fist). The former two belong to the external style which emphasizes physical strength and abilities while the latter three belong to the internal style that depends upon internal power-qi. The ancient weaponry of Chinese Wushu consists of many represented by 18 named weapons. 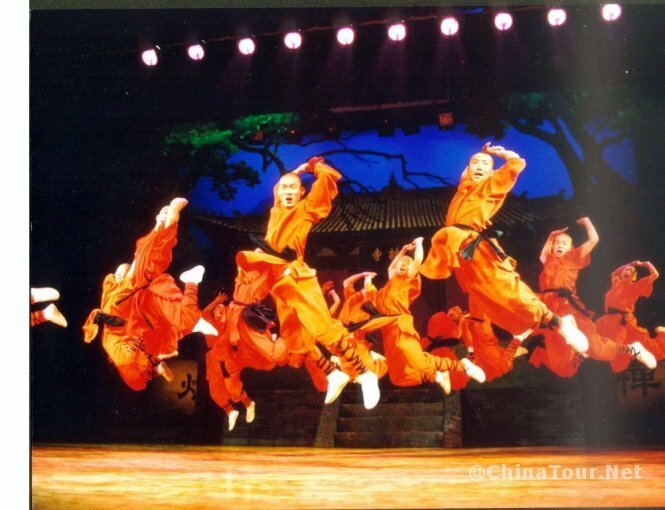 Recently, Chinese Wushu has been modernized. Training and competing standard systems have been set up. Continuing its fighting function, Wushu becomes a more athletic and aesthetic performance and competitive sport. More and more foreigners come to learn the mysterious Wushu. Wushu is now to be a sport of the Olympic Games soon. 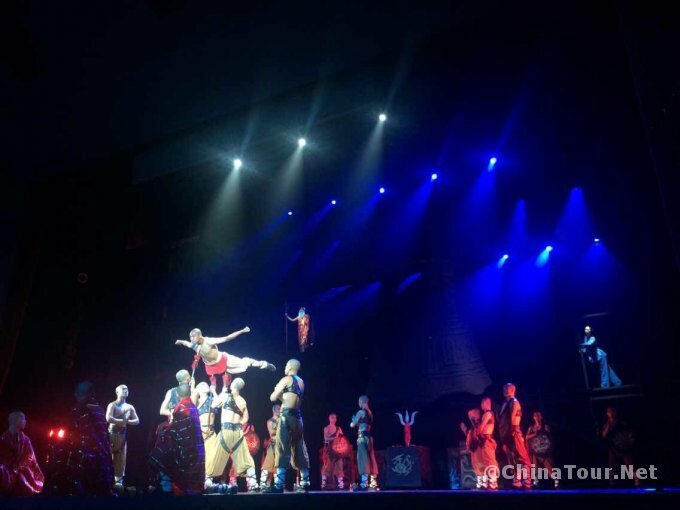 We ChinaTour.Net offers Kung Fu show tour service. We will pick you up at your hotel in Beijing downtown and drop you off at your hotel after the show. If you have have booked other tours from us on the show day, then you can join the night show shortly after the day tour. 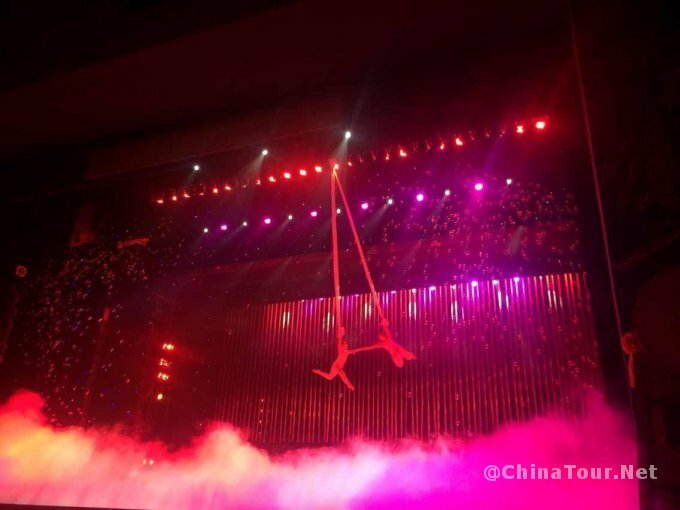 There are also other night shows such as Peking Opera Shows and Chinese Acrobatic Shows available. Welcome to inquire us. Click here to book a Kung Fu tour service. Hello i need several tours for me and my kids. How do i book them. Our hotel is in beijing. You guys pick us up? Also prices i need thanks. This is the Beijing tour page http://chinatour.net/beijing-tours.htmlClick the book button and then fill in Reservation Form. Click here to inquire us.